You can’t have failed to notice that there’s another Royal wedding in the offing, and we at GWD are very pleased to offer our congratulations to Harry and Meghan in advance of their special day. 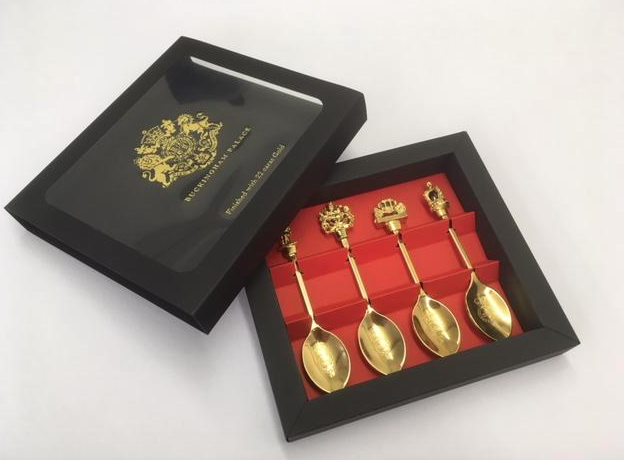 We have always had something of a connection to royalty, with some of our best clients being holders of the Royal Warrant- a recognition of the consistent excellence of companies which have provided goods or services to the Queen, the Duke of Edinburgh or the Prince of Wales for more than five years. Cornelia James, for example, have held the Warrant since 1979 – nearly forty years. 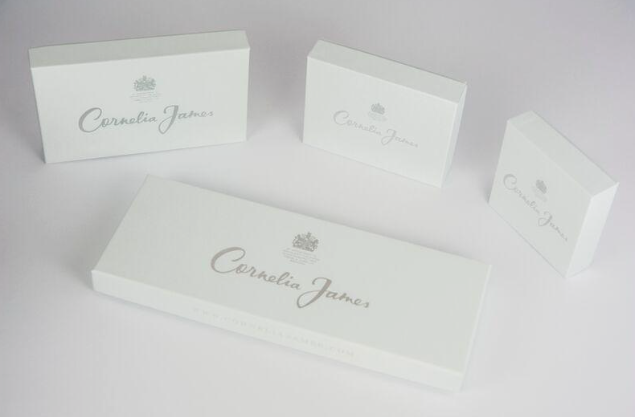 Cornelia James are glovers of distinction, making the gloves that the Queen herself wears, having made their first pair for her when she was still Princess Elizabeth and was marrying Philip. Cornelia James have expressed delight at the wedding, and also the American connection, as they do a lot of business there, although they couldn’t possibly comment as to whether Her Majesty will be getting a new pair for the occasion! 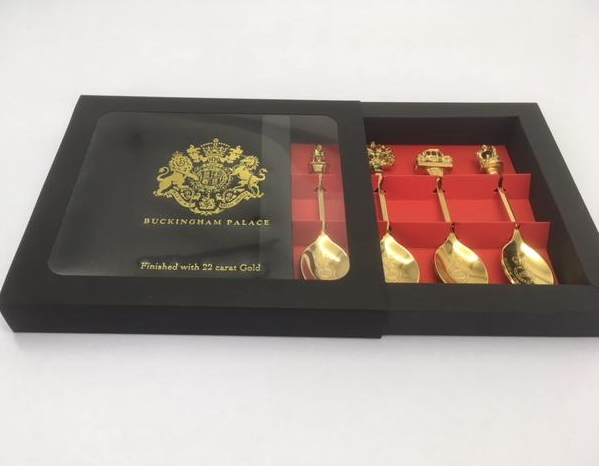 We have also made flower boxes for Taylors of Holbeach, Bulb Growers To Her Majesty The Queen, as well as spoon boxes the cutlery manufacturer, the DJH Group of Consett who supply Buckingham Palace, Windsor and Holyrood, and have just supplied an order for five thousand boxes over the three locations. 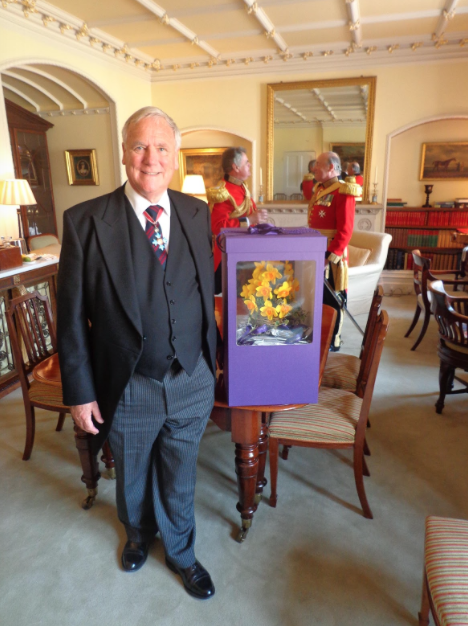 We have also worked with Prestat, who make chocolate that is literally fit for a Queen. Our specialty is luxurious presentation packaging, and you don’t need Royal blood to take advantage of our services! 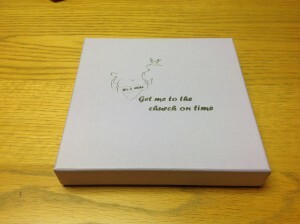 Whether you want a single box for a special gift or a bulk order, we have a solution for you. 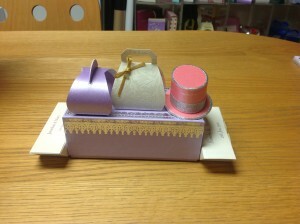 We’ve made boxes for hats, flowers, candles- you name it, we can make a box for it. Corporate and promotional packaging is also no problem. We have been manufacturing excellent presentation packaging for over thirty years, and are experts in our field. We are proud to create the majority of our packaging right here in Harlow, Essex, although if volumes require and lead times allow, we also have the option of a Far East manufacturing facility. We have an in-house design team who can create a box from scratch for you, or we can work alongside your designers if you already have a concept in mind. 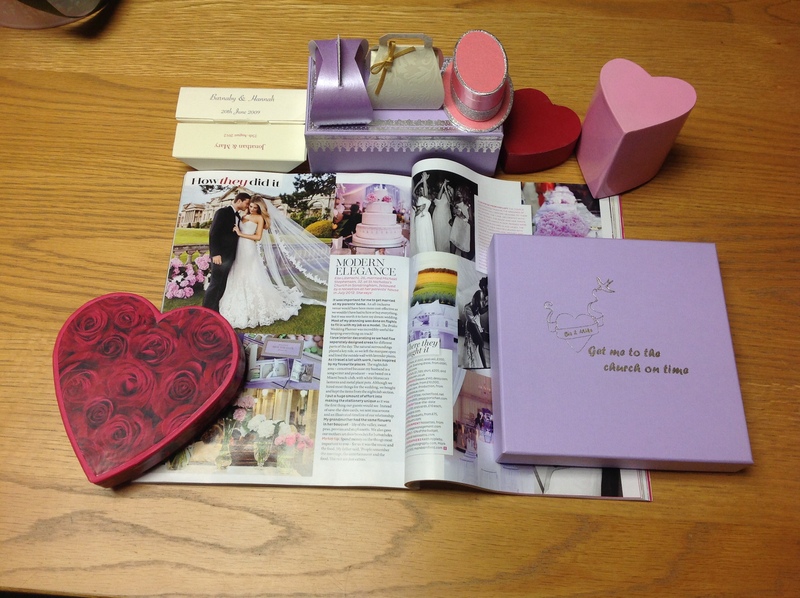 Drawers, magnetic closures, heart-shaped boxes – we can provide them all according to your wishes. As the majority of work is done in-house, we have quicker delivery, time-effective sampling and, perhaps most importantly for those wishing to surprise their loved ones, no minimum order requirement. And again, congratulations to the happy couple! We have spoken of weddings many times previously in this blog – we produce specialist boxes for wedding favours for example – however we were pleasantly surprised by a commission we received earlier this year for a special wedding being held on the Balearic island of Ibiza. 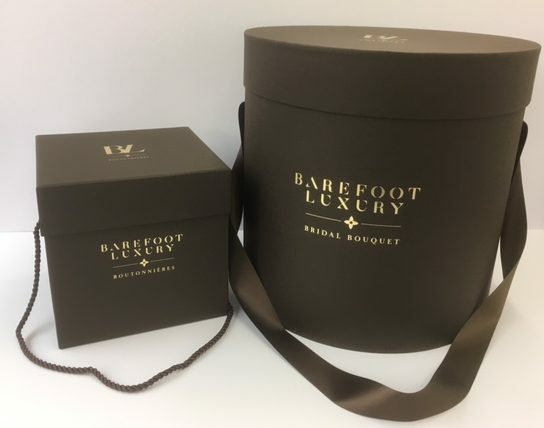 GWD Ltd were contacted by Barefoot Luxury Weddings in regards to creating two bespoke boxes for a celebrity wedding which took place this summer. Barefoot are described as: “A wedding planning company of unparalleled standards, experience and expertise.” Their offering is to creating elegant, stylish and unforgettable haute bohème wedding experiences. 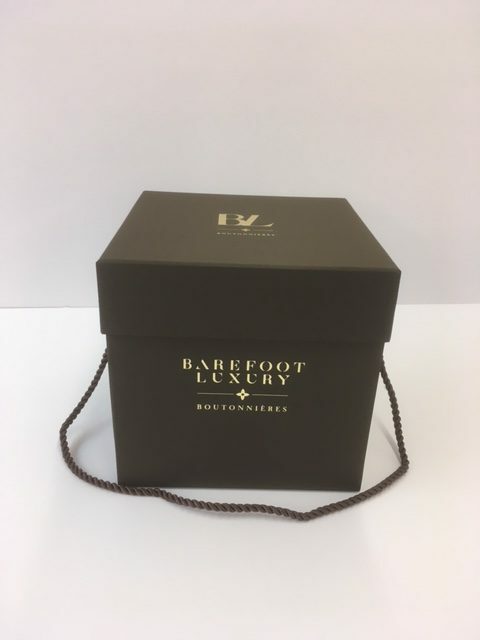 There is no company that creates such high-quality presentation packaging in the Balearics so Barefoot approached us in sunny Essex to create the two boxes. The first (shown above) was a relatively simple build wrapped in a high quality dark brown paper with gold foiled lettering and a matching brown cord handle. It’s overall appearance was incredibly stylish and was designed to carry buttonholes on the day. The second box was for the bridal bouquet. Naturally in the same material and style, this circular ‘Hat box’ is a GWD speciality – we are one of only a very few companies in the UK who have the technical expertise to produce them. The boxes were to displayed in a video taken at the event – being loaded into transport then removed with style and the contents dramatically displayed. The design quality of the boxes was obviously set to a very high level. As you can imagine this is a premium service and nothing, is left to chance! The level of care that Barefoot Luxury Weddings provide was best illustrated by the appearance of a specially commissioned van outside of our factory – there to pick up the boxes and drive them all the way to the Mediterranean to ensure that they didn’t get damaged en route! Barefoot work both locally and internationally with the finest suppliers in the wedding industry, including the best caterers, cinematographers, florists and highly creative stationers. 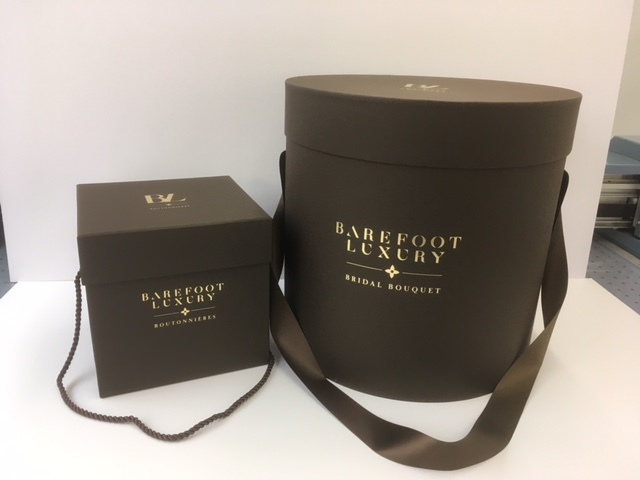 We were pleased to be considered as suppliers of presentation packaging for this project and look forward to a continued relationship – you never know, we might just get an invite to one of their weddings one day! The key is to take time at the outset to plan the major aspects and realistically calculate how much time and money you can afford. Once you have the main facets in check, you can start to plan the finer, fun detail! Here we take a look at seven main areas of wedding planning, offering advice and ideas to help when making key decisions. Don’t forget: don’t get carried away with the finishing touches until you’ve settled on these core aspects! Make setting a budget your first consideration: it will influence absolutely everything. It’s easy for costs to spiral out of control, so either make a point of keeping a watchful eye on all your outgoings with the help of a spreadsheet or schedule, or hire a wedding planner to manage it all for you. Whilst you may initially be put off by the additional cost of a wedding planner, they can actually help save youmoney: it’s one of their greatest talents, so don’t discredit it too early! fires, scenic snowy wedding photos or even ice sculptures to set off your venue. Getting married any season outside summer is more likely to land you your preferred date and venue and discounts too, so it’s worth considering. there capacity for your full guest list or will it be too vast for a smaller gathering? Are there facilities on site for you and your wedding party to stay or get ready? What are other couples saying in their reviews? Do your homework but also go with your gut instinct: if you get a good feeling when you visit, that stands for a lot! Wedding styling is where your flair for finer detail can kick in, but don’t forget: focus on the core aspects first. Setting a main theme is all you need to do at this stage. Gathering your accessories and working out your décor – the fun part – comes later. Your choice of venue will impact upon how you style your wedding. A country barn will lend itself to a rustic theme and a grand hotel to classic fashioning. If you are starting with a blank canvas, the limit is your imagination. Think about whether you want formal, fun or something in between. A good idea is to let it portray your personality. It is vital to be clear on how you want to preserve your special memories before you choose your wedding photographer, so you can be sure they offer the service you need. Would you prefer mostly formal pictures, natural shots or a mixture of both? Perhaps you want photos taken of certain family members together? Do you want pictures taken at the ‘getting ready’ stage as well as during the ceremony? And at the reception too? If you are on a limited budget, ask around to see if anyone knows a semi-professional or student photographer, but do check their past work! Here’s where you’ll want to pander to your own tastes, but also consider how you can keep everyone entertained too. If you have an eclectic mix of guests you’ll need to think of ways you can please all the people. Think outside of music too: consider magicians, garden games, bouncy castles, a casino or a photo booth with amusing props for guests to pose for their own fun photos. Remember that good wedding entertainers get booked up a long time in advance, so make this one of your priority decisions. Planning a wedding eats up an incredible amount of time and can be very Stressful. A wedding planner helps ease the pressure by liaising with all the suppliers. Here at Sourcerer we have a vast book of contacts and experience of working within set budgets and negotiating the best prices. We can guide, recommend and inspire as much as you need and best of all, we’ll be there on the day making sure everything runs like clockwork so all you have to do is enjoy your wonderful wedding! If you’d like to find out more about getting some help with planning your wedding, please get in touch. Wedding venue styling takes a great deal of organisation and consideration. How you style your wedding venue will depend on many factors such as the type and theme of your wedding. So for example if you intend to have a country barn wedding, your wedding venue might be styled with plenty of flowers and vintage accessories like birdcages and lanterns. In this post we’re going to take a look at the latest trends in wedding venue styling, and possible ideas for inspiration. Revived by the Great Gatsby film, this trend is all about sophistication of a bygone era of the 1920s. 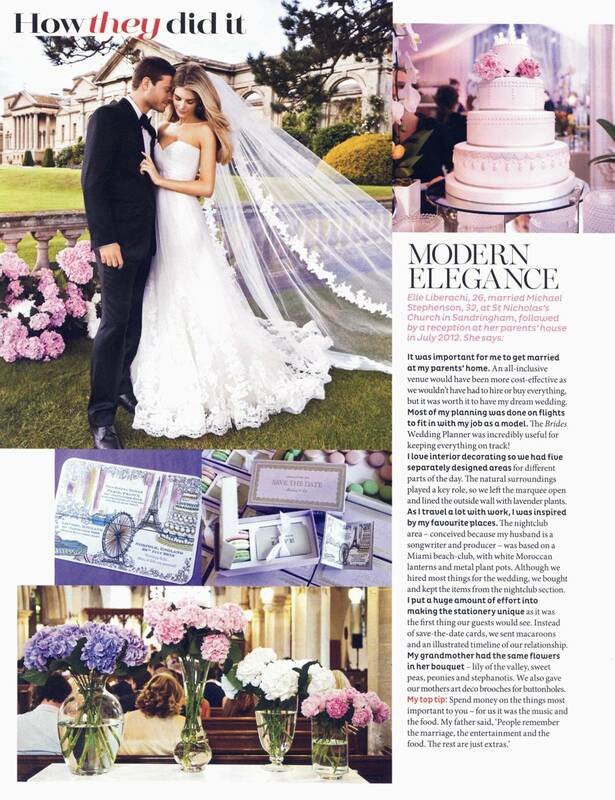 Think crystal candlesticks, chandelier lighting, feather centrepieces and big band dancing. This trend oozes elegance. One aspect of this trend is the flowers themselves. Wedding venue decoration incorporates garlands for such things as the bar and doorways. Jessica Ennis’s 2013 followed a floral style, not only in her fabulous dress, but with plenty of garlands and flower arches. The second aspect of this trend is within the decoration: blossom flower trees, made with either extremely realistic silk flowers or fresh flowers, have become very popular in wedding venue styling. They can be used as centrepieces, ceremony aisles or as stunning features. A new trend in wedding venue dressing that has made its way from The States is personalising your aisle runner. Think about matching the colour to your wedding chair covers or overall theme. You could decorate with flower petals or even personalise with your initials. Wedding venue lighting has a huge impact on the feel and atmosphere of your big day. Candles always give a romantic impression, but they can be interpreted in different ways. You might want to opt for pretty tea light holders as a nod to a vintage theme. Or you may wish to think about something more elaborate, such as a candelabra chandelier or candle globe centrepiece. Crystal gives a decadent, luxurious feel to any wedding. Used with the right wedding venue lighting, crystal can elude a fabulous sparkling glimmer. Crystal trees have become popular in creating statement centrepieces and when combined with LED lighting, offer wonderfully striking appeal. Likewise, crystal table chandeliers can look amazing on dining tables and can be lit to any colour. Crystal candelabra combines the beauty of romantic lighting with a striking centrepiece. Kim Kardashian and Kanye West are known for their opulence, especially as Kanye rented out an entire baseball stadium to propose to Kim! Their wedding is due in May 2014 and this flamboyant couple are probably the most likely to follow this wedding venue styling trend. Whichever trend most appeals to you, it’s important to plan and take time to achieve the look in a way that will most befit you and your partner. At Sourcerer Events, we are right here on hand to offer insightful advice and inspiration in wedding venue styling. Give us a call to find out how we can help bring to life that dream look that you’ve got your heart set on. with your wedding planner now about some key factors for your wedding. can then seriously think about booking your preferred choice. chosen venue. Start planning now and you can look to secure both your top choices of venue and season. Sunday if many of your guests would have the Monday off work as a public holiday? We find the weddings that run the most smoothly are those which have been planned well ahead and with the greatest attention to detail. caterers and other suppliers. Call us, we’d love to help! Your Wedding day is one of the most important days of your life. It is a day that should be filled with love and unbridled joy. At Your Perfect Travel we understand completely how special a wedding day should be. As Wedding & Honeymoon travel experts, we live and breathe love and romance. Whether you are looking to get married on a Yacht overlooking the New York skyline or on a desert island somewhere in the middle of an ocean, Your Perfect Travel can make your dreams come true. We can organise a wedding or a honeymoon to any destination in the world. Please see below for an idea of what we could do for you. Imagine an oasis of a million colourful lights sparking like perfect diamonds within the midst of a baron desert. This oasis is alive with excitement, life and love. Each twinkling diamond has its own unique love story which will inspire and enchant you. This is Las Vegas the real city of love. A place where every dream can become a reality and every love story is like a movie. To marry the person you love in Las Vegas is a truly magical and unforgettable experience. There are literally 100 different ways you can get married in this incredible city. Your choices range from saying “I do” in the world famous Little White chapel where you will follow in the footsteps of Las Vegas royalty by celebrating your wedding in the same place Frank Sinatra wed Mia Farrow. Another option is to marry high above the Las Vegas strip in a private helicopter overlooking the splendour of this captivating city. Or, perhaps, you would prefer to have the true Prince and Princess experience by becoming betrothed in the palatial surroundings of the Bellagio Hotel, a world renowned opulent resort which has appeared in countless Hollywood blockbuster films and remains the most iconic property in all of Las Vegas. In the words of Elvis Viva Las Vegas! We at Your Perfect Travel are so much more than just travel consultants; we are your dream makers. Let us make your perfect wedding day dream a reality, contact our wedding & honeymoon experts now and let the dreams begin. We’ve now entered July, and what does July usually bring with it? Well, we’re in the UK, so I don’t think we should get too carried about away about sunshine, although we have been forecast a heatwave for next week! However, what can be relied upon is that July ushers in the wedding season, and so I thought that we’d use our July blog to talk about the wedding work that GWD is involved in. Last year, we received a phonecall from fashion model Elle Liberachi. Elle had just got engaged and was looking for a unique way to let all her prospective guests know the date of the wedding. 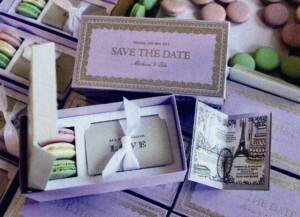 She decided to send a ‘Save the Date’ box containing some macaroons and a timeline of their relationship to each of their guests, and we made the box for her. 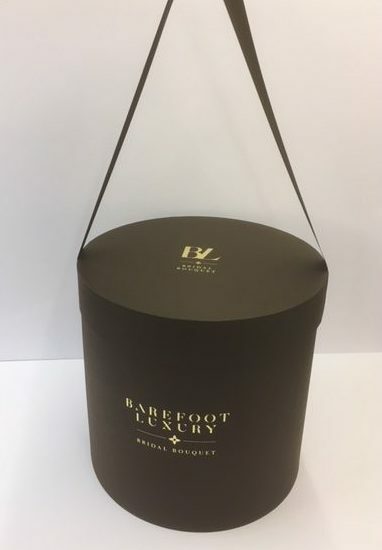 The box itself was exquisite with elaborate foil blocking on the lid and a luxurious Suedel® interior designed to accommodate the macaroons and a printed card. 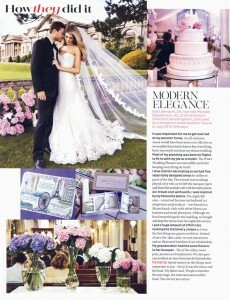 Fast forward a year, and Elle is now married, and has been featured in the latest issue of Brides magazine. 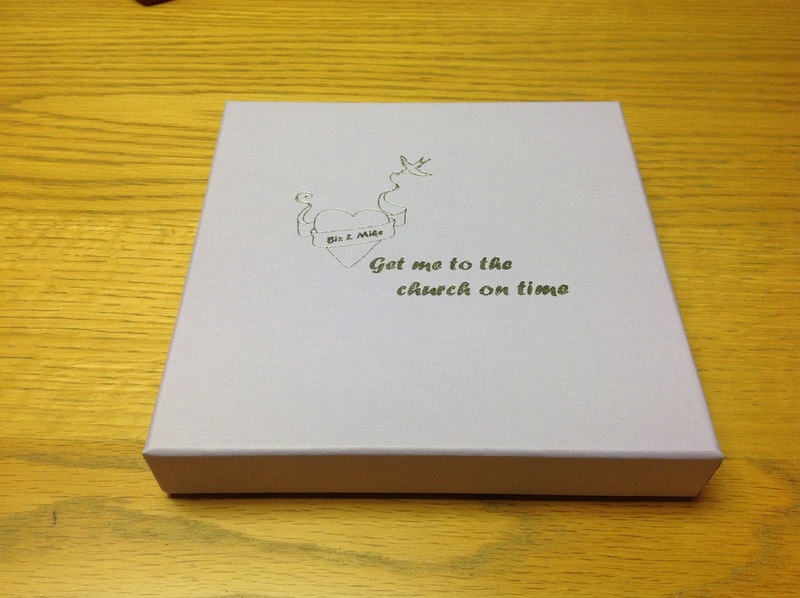 A picture of the box we made is included in the feature, with Elle explaining that she wanted to use something a little bit different to announce their wedding, as this was the first piece of stationery that their guests would see. 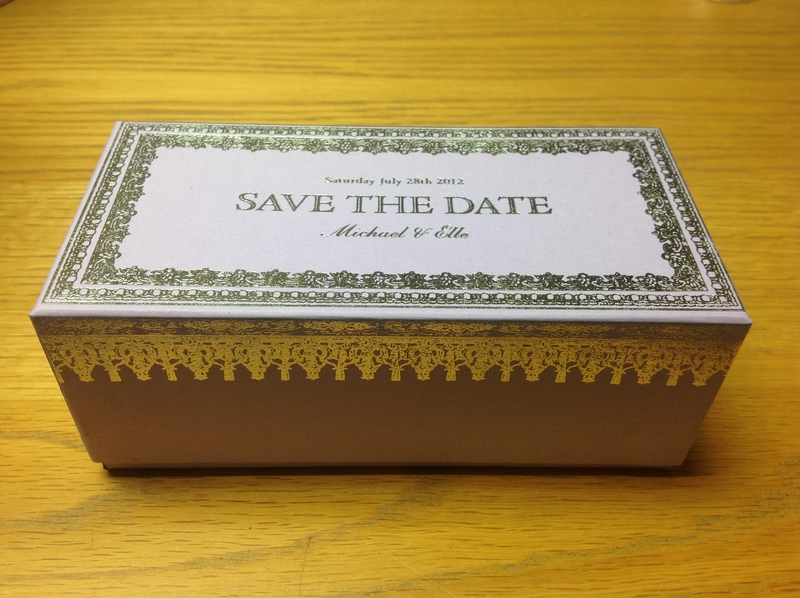 This was the first ‘Save the Date’ box we’ve ever done, and we’re pretty pleased with how it turned out! The ‘Save the Date’ box showcases our ability to create something really luxurious, and this sort of box can be an ideal way to announce your intention to wed.
Whilst the ‘Save the Date’ box was the first job of its kind for us, we’re pretty well acquainted with providing products for other parts of the wedding, with the majority of our previous work being associated with the big day itself. One job we’re often commissioned to undertake is the construction of chocolate boxes for use at the reception. Once the food has been served and eaten, it can be really nice to hand round some chocolates for your guests to have with their tea and coffee, and the boxes can be made to any specification you might want. 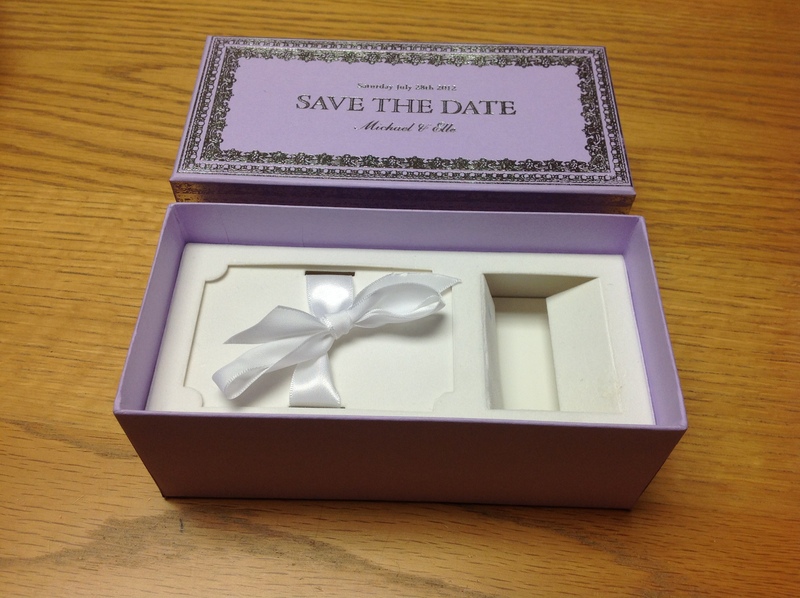 Some of our customers have opted for a design that includes their names and the date of their wedding, and a personalised box of chocolates can be the perfect finishing touch to a lovely meal. Another product we frequently provide for weddings is the favour box. Whilst wedding favours are a relatively new prerequisite, they are nevertheless an essential part of a modern wedding, and we often make a little individual box containing a couple of sweets or pieces of chocolate (or something else) that is placed on each individual’s table setting. One of our customers is the Grasmere Gingerbread Company and we make heart shaped boxes for them, to present their little heart shaped gingerbreads. Heart shaped boxes are of course highly appropriate for a wedding day, and a little heart box on each place setting can be a wonderful finishing touch. 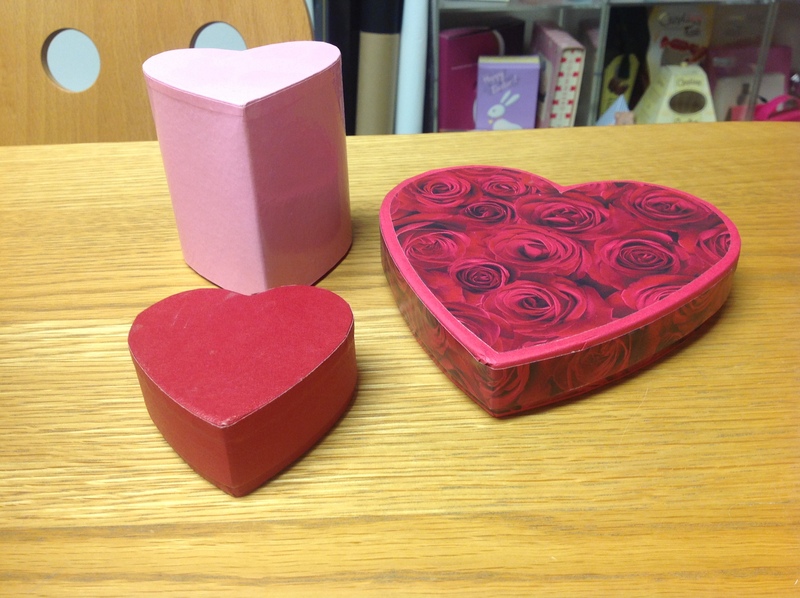 We also make heart boxes in larger dimensions for chocolates for the whole table, but we can make boxes in a variety of shapes to suit a variety of different needs. 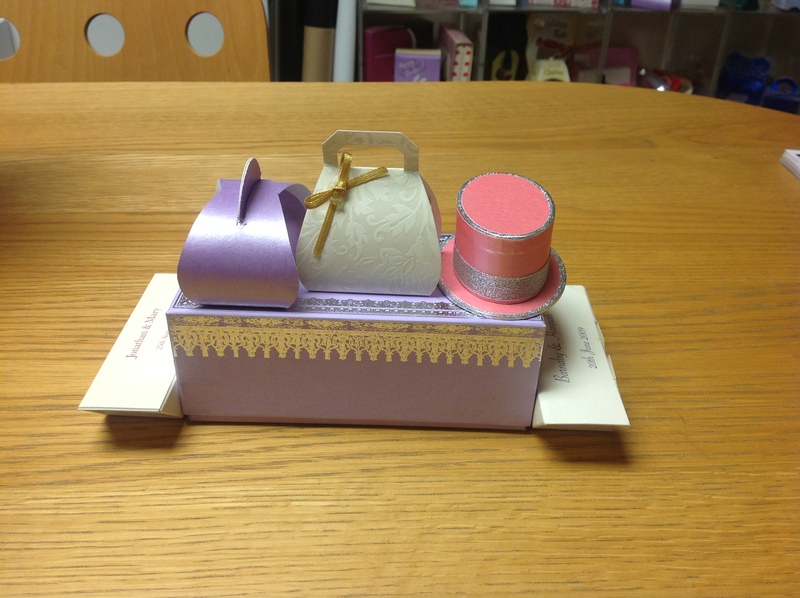 For example, you might fancy a box shaped like a handbag or a top hat; or anything that fits in with a wedding theme. We love a challenge, so if anyone has anything specific they want made into a box, then throw it at us and we’ll have a go. Naturally, you’ll want your big day to be absolutely perfect and no doubt you’ve thought of every possible way you can make it as special as possible. If you’re looking for the perfect finishing touch, then it’s certainly worth considering the packaging, as the packaging can make a vital difference to how aesthetically pleasing your big day is. If you are getting married, then congratulations: may you both have a long and prosperous life together!